THE Davao City Environmental Care Inc. (DCECI) and the Chong Hua Hospital were slapped with a fine of P250,000 and P110,000, respectively, for illegally throwing medical wastes at sea by the Environmental Management Bureau (EMB) 7. The EMB 7 concluded that the DCECI directly threw the medical wastes into the water of the Mactan Channel because these were still fresh and did not go through indirect heating when discovered. EMB 7 Director William Cuñado said the lawyers of both firms had filed a motion for reconsideration, but he said his office was just following due process, adding that the decision was final. The managing head of the DCECI, who requested anonymity, asked the public not to judge them, as they, too, were confused as to how the medical wastes ended up on the shores of Lapu-Lapu City. 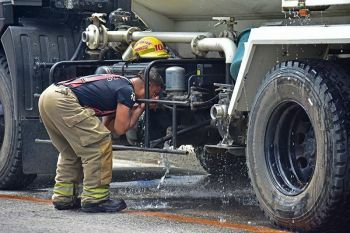 The official said they followed the standards set by the Department of Environment and Natural Resources (DENR) as they were afraid their permit would be revoked. Also, they wanted to avoid paying hefty fines. Since 2016, the Davao City-based firm had been collecting medical wastes from the Chong Hua Hospital Mandaue and Cancer Center (CHHMCC), University of Cebu Medical Center and other private hospitals in Cebu City. 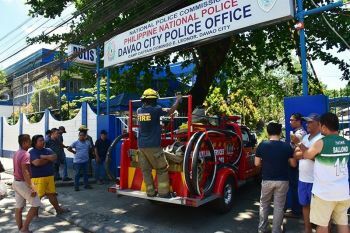 The managing head said they were open to any investigation, adding that they immediately inspected their facility in Barangay Umapad when news of the medical wastes broke out last Jan. 5. He also said they had been coordinating with the hospitals and the EMB 7 with their inquiries. DCECI, he said, would issue an official statement after the release of the investigations’ results. But despite the ongoing investigations, he said they would continue to operate because of their contractual obligation to collect waste on a weekly basis. 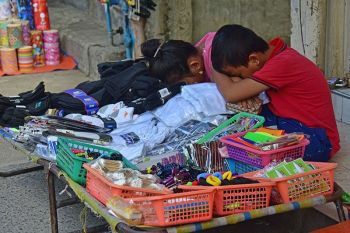 Only three firms in Cebu have a permit to establish a Treatment Storage and Final Disposition to treat medical wastes. They are the DCECI in Umapad, Mandaue City; the Pollution Abatement System Specialists Inc. in Inayawan, Cebu City; and the Cleanway Corp. in Carmen. Cuñado said they would check reports that only 10 percent of the medical wastes that were discarded at sea were recovered, as the rest were carried by the water current. He said his office penalized the hospital because it had a certificate of treatment (COT) from the DCECI, which meant the hospital was aware how its wastes were being disposed of. The EMB 7 conducted an investigation on Jan. 7 and came out with findings and corresponding violations and penalties for DCECI and the hospital, based on Section 11 of Department Administrative Order 2013-22, or the Revised Procedures and Standards for the Management of Hazardous Wastes. DCECI’s violations included failing to treat hazardous wastes, accepting hazardous wastes without the proper manifest form, failing to submit a hazardous waste manifest form during every transfer and failing to submit a COT to the EMB 7. The hospital’s violations included failing to file a COT, failing to submit a manifest form to the DENR and failing to submit a permit to transport hazardous wastes. 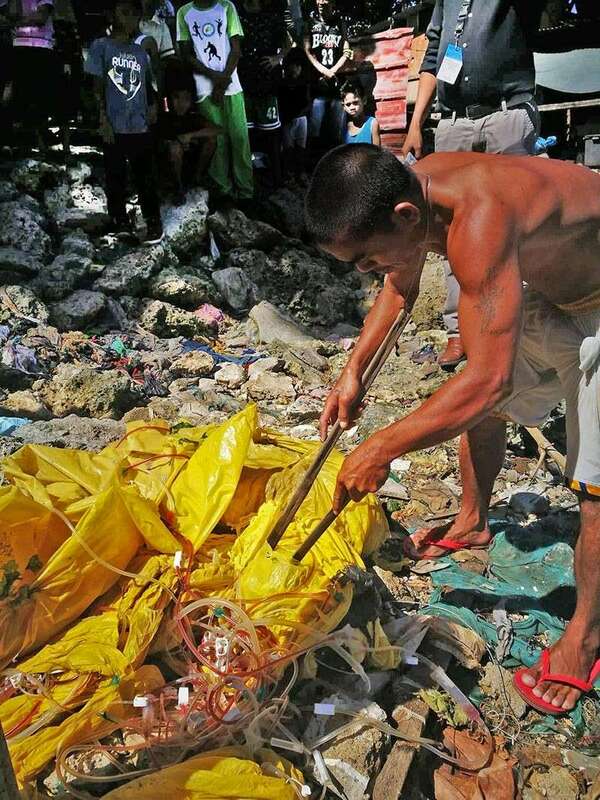 Last Jan. 5, a complaint was posted on Facebook by a concerned citizen about mixed non-hazardous wastes and medical wastes floating at the Mactan Channel and off the coast of Sitio Sta. Maria in Barangay Ibo, Lapu-Lapu City. Some of the medical wastes had CHHMCC’s name on them. Meanwhile, Bureau of Fisheries and Aquatic Resources (Bfar) 7 OIC Director Nilo Katada assured that the fish in the markets of Lapu-Lapu City was safe to eat. He said the medical wastes found on the water of the Mactan Channel had not resulted in a fish kill, adding that fishermen continued to catch fish in the area.